Although China’s Anbang Insurance and its partners ultimately lost to Marriott in a see-saw bidding battle for control of Starwood Hotels & Resorts, a different Chinese company has succeeded in buying another U.S. lodging giant. Carlson Worldwide, the Minneapolis-based, privately-held firm that owns both the Carlson Rezidor Hotel Group and Carlson Wagonlit Travel – a leading corporate travel agency group – said it has agreed to sell its hotel operations to China’s HNA Tourism Group, a division of HNA Group Co. – a giant conglomerate with holdings in hospitality, aviation, tourism, finance and online businesses. 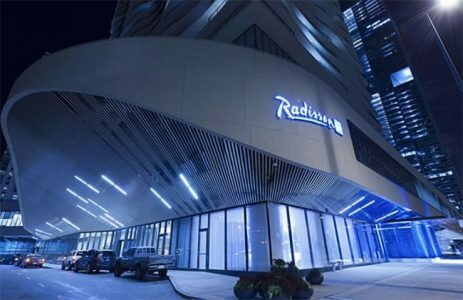 The seller’s Carlson Hotels, Inc. unit has a number of brands including Radisson Hotels, Radisson Blu, the new Radisson RED, Park Plaza, Park Inn by Radisson, Country Inns & Suites by Carlson, and the Quorvus Collection, along with the Club Carlson rewards program. To read more at Travel Skills, click here.